Happy Newbery Day! Mr. Colby Sharp and I are reading EVERY SINGLE NEWBERY MEDAL WINNER (sorry, I got excited) in order. Today we're discussing From the Mixed-Up Files of Mrs. Basil E. Frankweiler. 1. Do you remember where you were the first time you read it? 2. What's your favorite scene? 3. When do you recommend it to young readers? Visit Colby's blog to watch his video. Please don't watch this video if you haven't read the book. Watch a clip from the From the Mixed-Up Files of Mrs. Basil E. Frankweiler movie. Travis Jonker created the cover on the right. Nice work, sir! E.L. Konigsburg accepts the Anne V. Zarrow Award for Young Readers' Literature. Borrow From the Mixed-Up Files of Mrs. 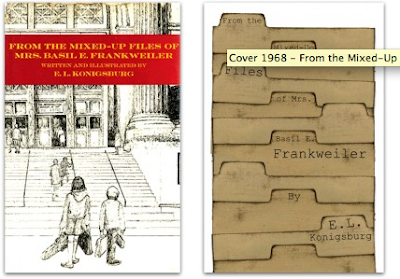 Basil E Frankweiler from your school or public library. Whenever possible, please support independent bookshops. I need to read this book! I loved the video version of the book - brought back fond memories of my daughter Kathryn and her best friend, Celia who spent their weekends making videos. They did a simply hysterical one in middle school of The Invisible Man. I need to read this book! 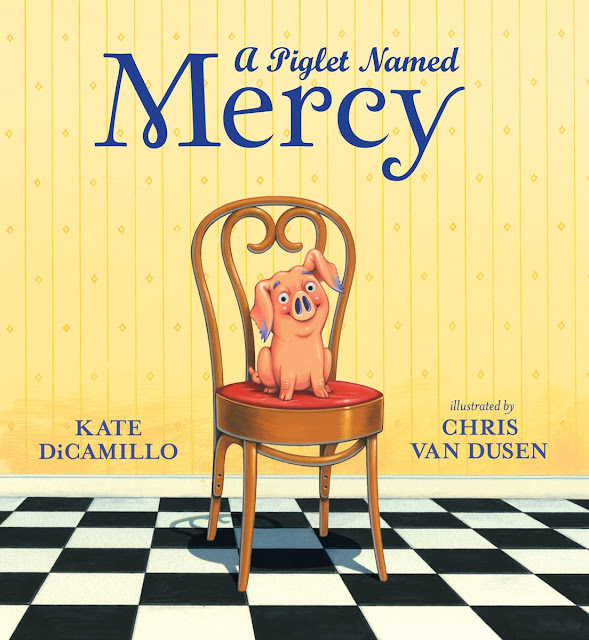 Loved the kids' video version of the book - brings back fond memories of my daughter, Kathryn and her best friend, Celia making videos on the weekends. They made a great one in middle school of The Invisible Man that was simply hysterical. Love the Met! Hope you enjoyed your visit! Hoping to return again next summer. This is actually a book I've never read, as a child or as an adult/teacher. Have always wanted to; now I want to even more. I always enjoy your posts/videos. BTW, I also love Chicago, and the Art Institute! I think I first read this when I was 10. I have such a strong, strong memory of them bathing in the fountain, and also turning the vase over the see the secret mark. I've already read and recommended this to my own kids, but I may have been a bit premature. I think they were all 7 and under when I read it. Time to reread! I was probably 9 or 10 when I read it; I remember reading it in my closet, which I had turned into my own secret reading spot after reading Bridge to Terabithia. My favorite scene has always been when Claudia takes a bath in Mrs. Frankweiler's black marble bathtub--so unbelievably luxurious for any person, let alone a runaway young girl. I recommend the book to readers most often at the end of the school year or during the summer. Those are the times when I see the wistful, wish-I-was-somewhere-else looks in their eyes, and that's a perfect time for them to meet Claudia. I first read this book to my fifth graders way back in the day when I was still in the classroom. We loved it and they got excited about the prospects of being able to run away and take care of themselves. We liked the scene with the fountain. This was one I read to several different groups and we never got tired of it. I wondered if it held up today with cell phones and such.